To the mightiest crowned king. Must suffer, and rise, and fall. Will not look for help in vain. Our sun to illume the day. Video: Ottawa sunny & snowy day. In most democratic countries, minority leader is very essential to ensure “critics quality” to drive force of nation building. Nonetheless, minority leader doesn’t entitle without having proper privileges and obligations at all. In Canada, minority leader is appointed and endorsed by the Queen with full power and privileges. There are packages of budget reserved for minority office to effectively run its businesses such as campaign, rally, researches, advisory groups, assistants and staffs, and other necessary expenses. 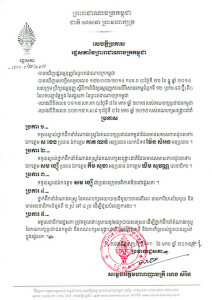 Reading the endorsed letter issued by President of the Assembly, H.E. Heng Samrin, the two groups are nominated: parliamentarian leaders from both parties. What differences are: the CPP has one president and two deputies; but the CNRP has one president, one deputy, and one secretary. While the endorsement allowed each group to obtain office with secretaries at least 2 to 4 for daily operation. The two wings are incomparable and sophisticated. Hence, there is the statement to recognize H.E. 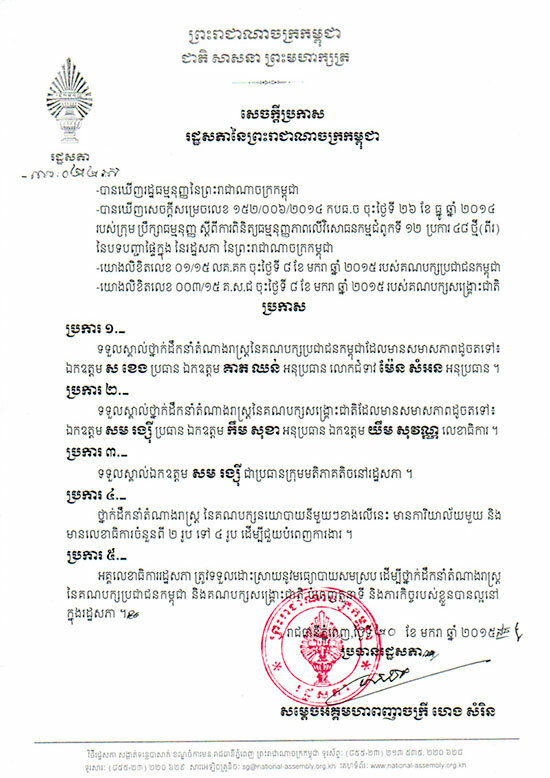 Sam Rainsy as the Minority Leader in the parliament, but the letter doesn’t state clearly on privileges and obligations at all. Could any one clarify on this unsettled odd? 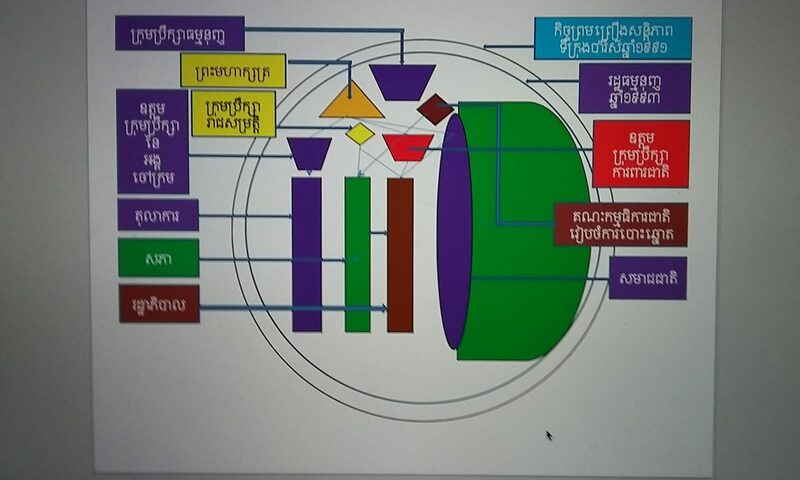 Why Cambodian parliament, sometime, produce sophisticated and complicated bureaucrats to supplement the existing sophisticated and complicated status-quo?